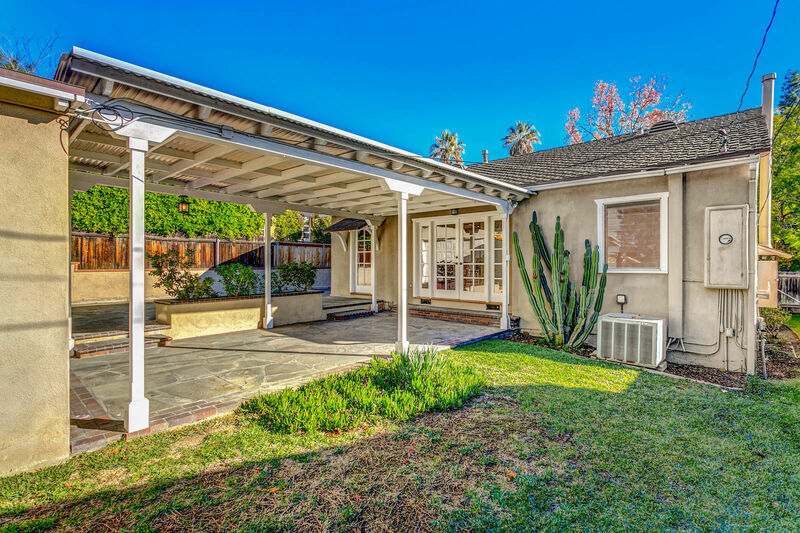 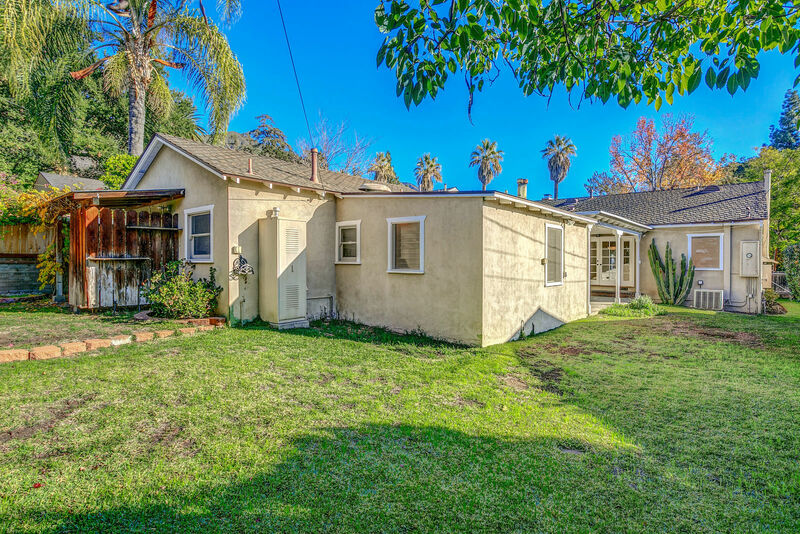 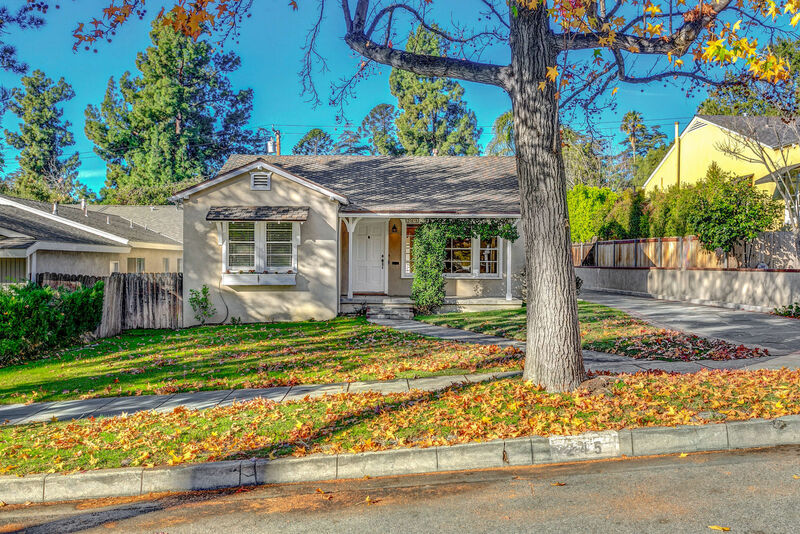 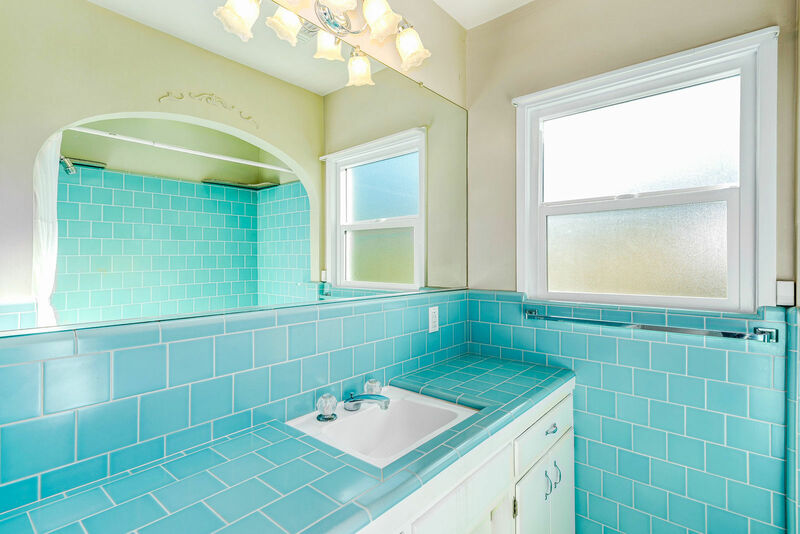 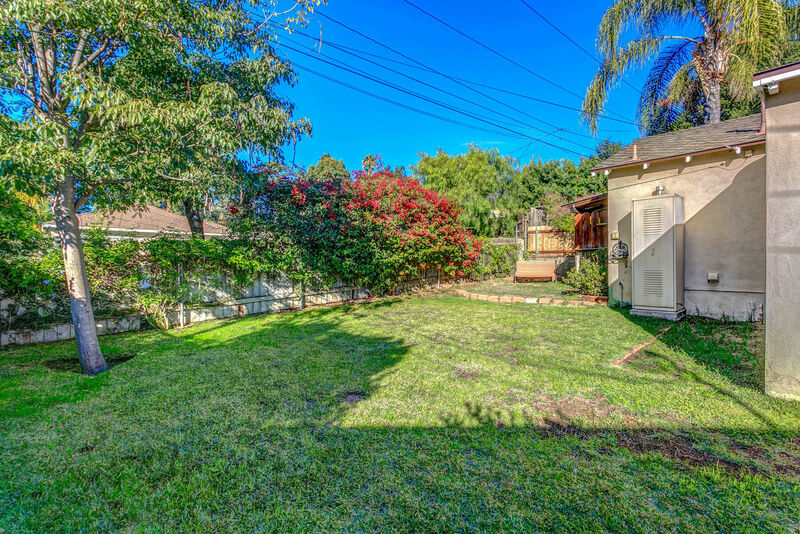 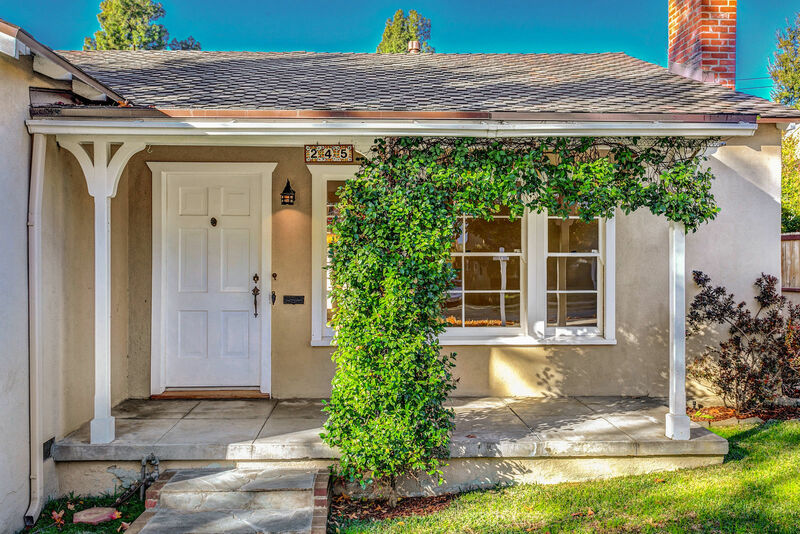 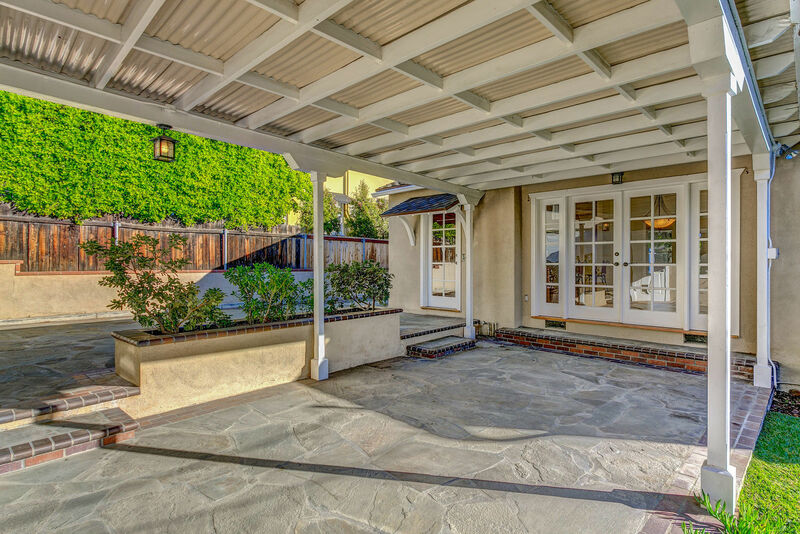 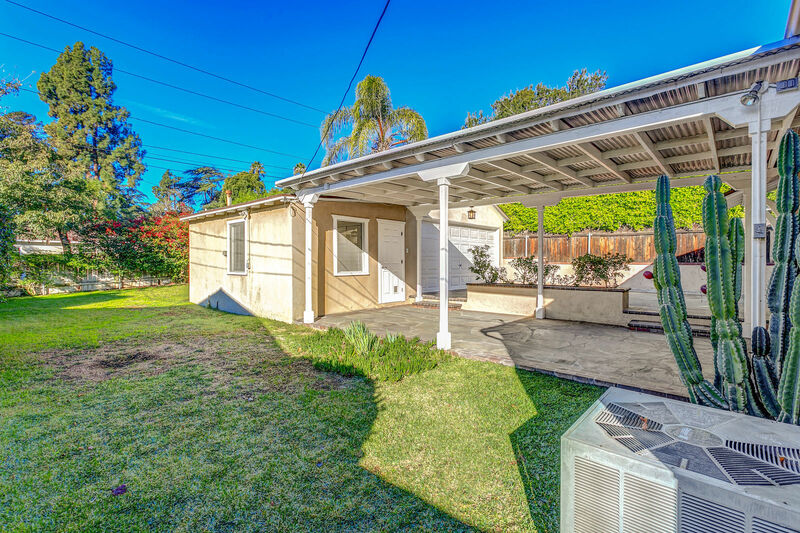 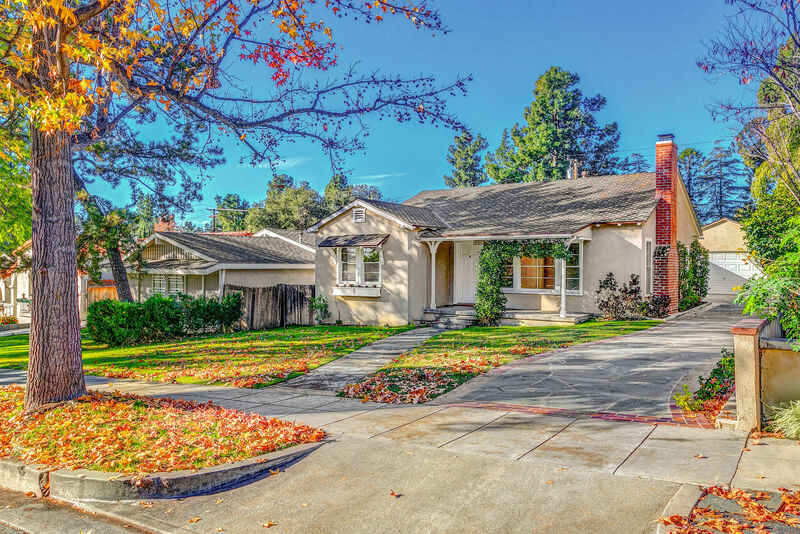 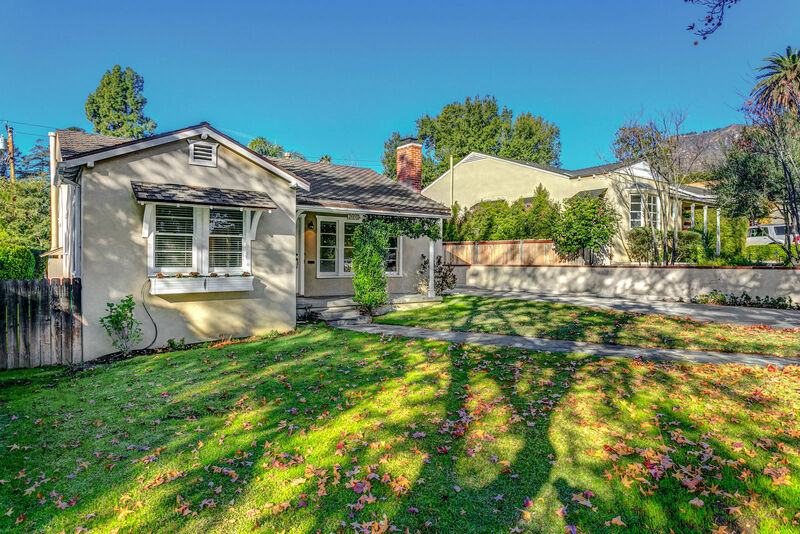 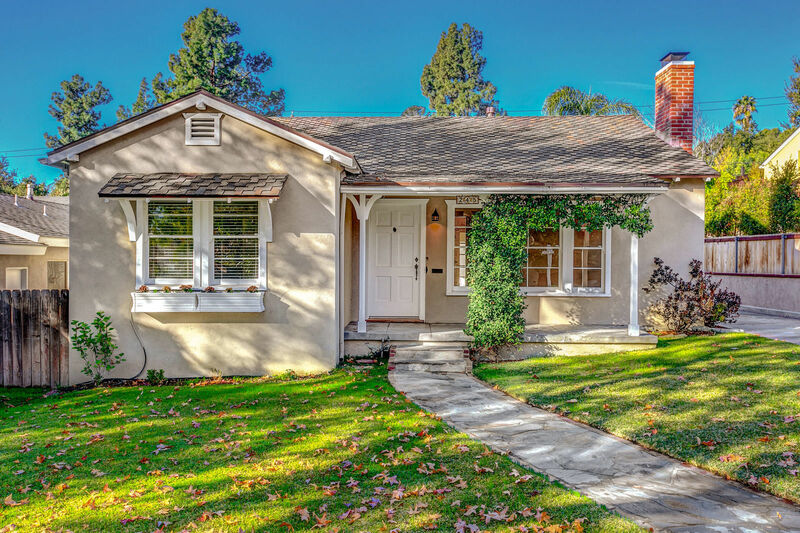 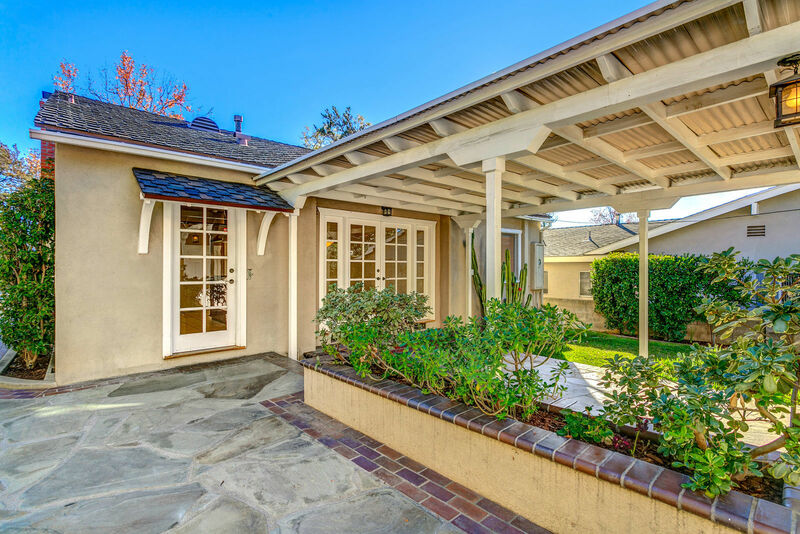 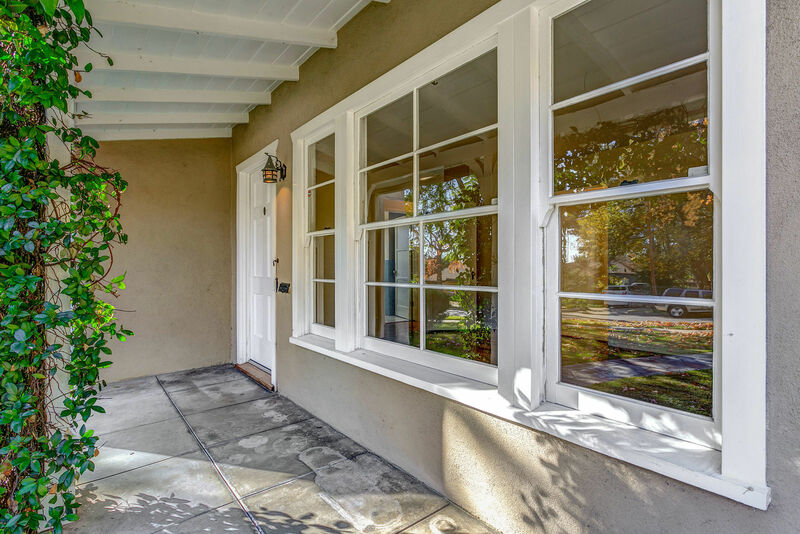 This adorable cottage sits on a lovely Sierra Madre street and is oozing with charm. 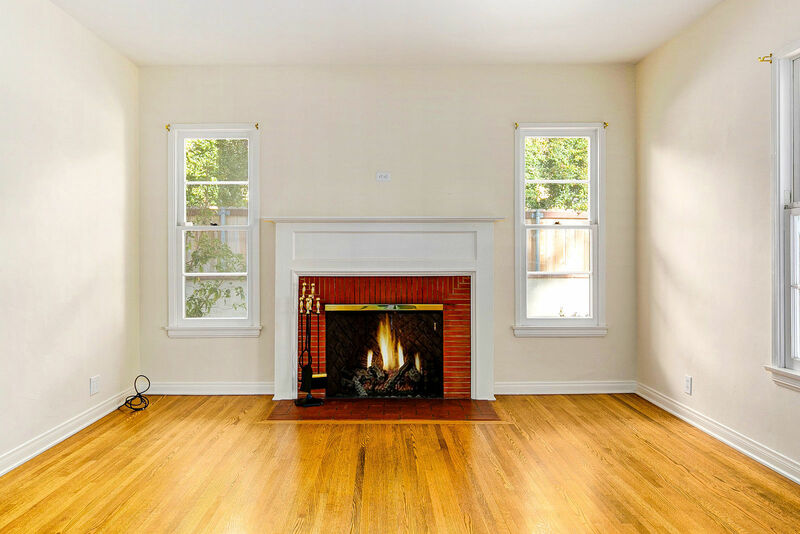 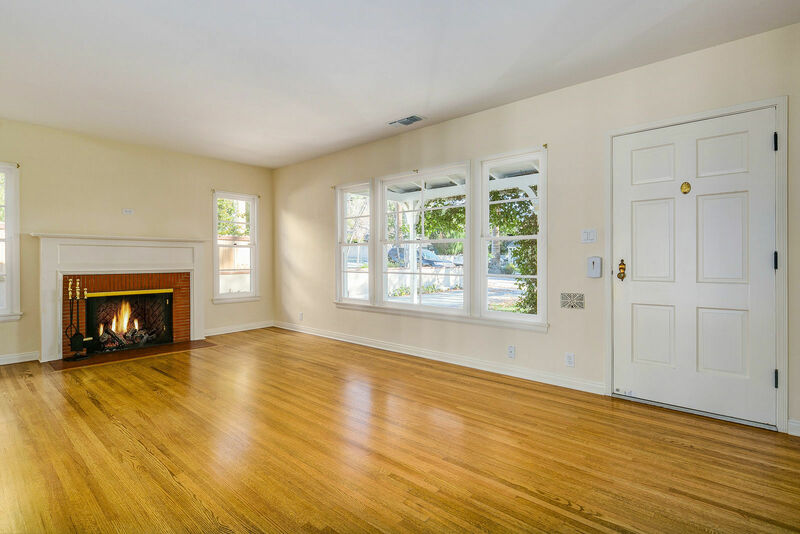 As you enter, the living room is light, bright and cheerful with wood floors and a traditional fireplace. 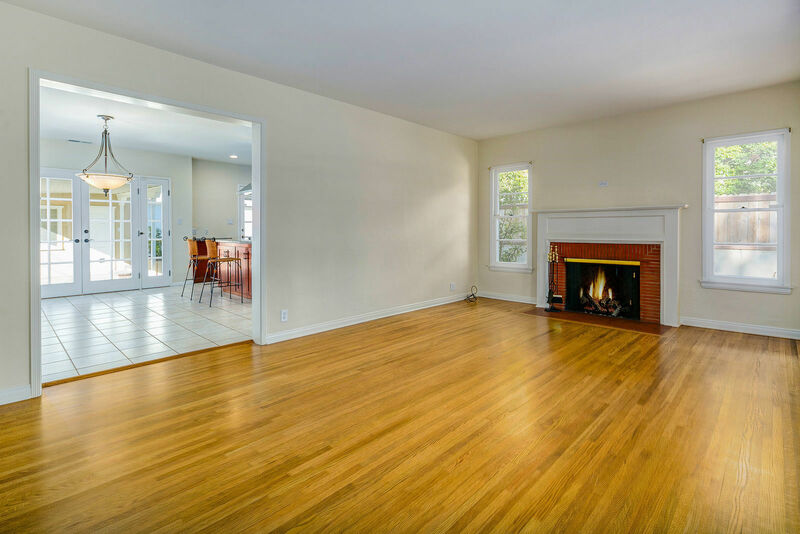 The oversized dining room is very spacious with wood floors, and French doors leading to the back patio. 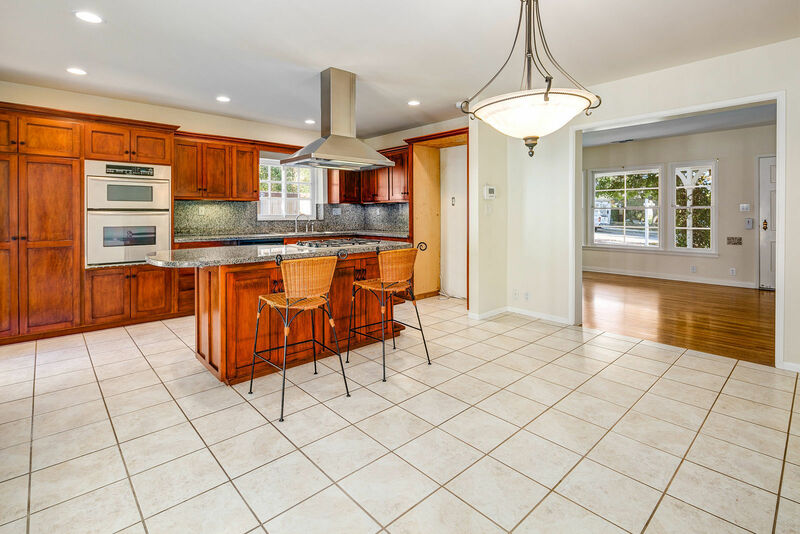 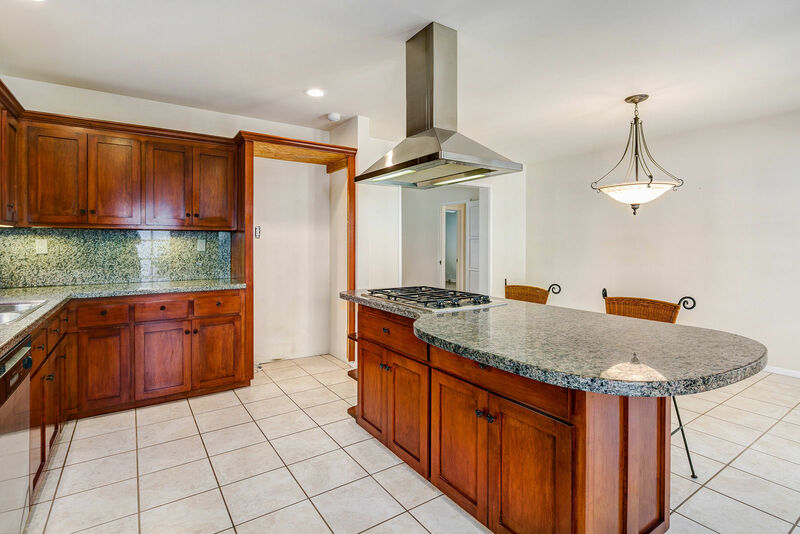 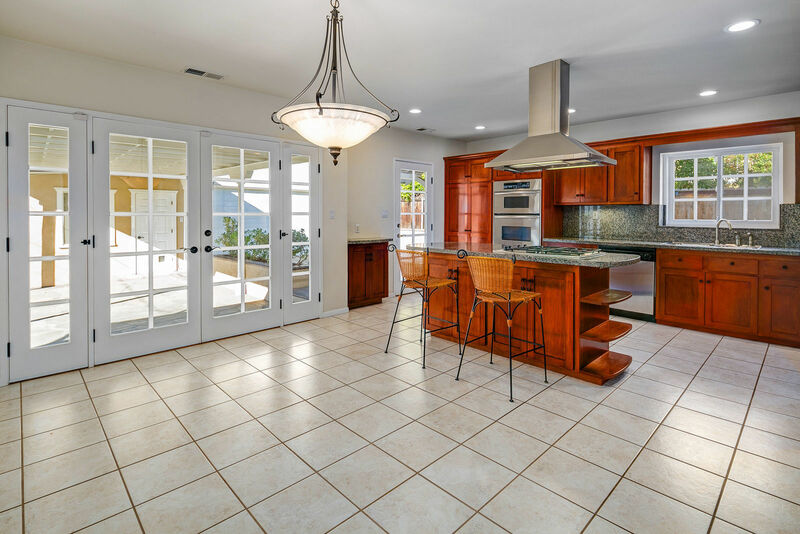 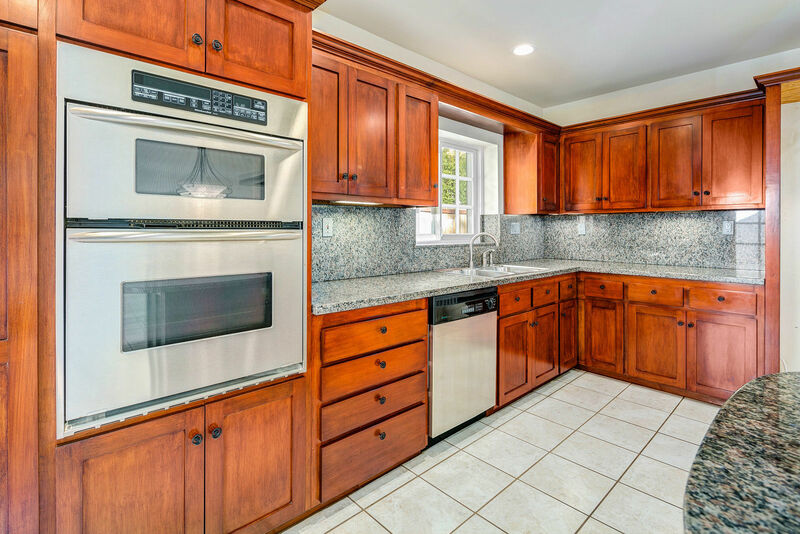 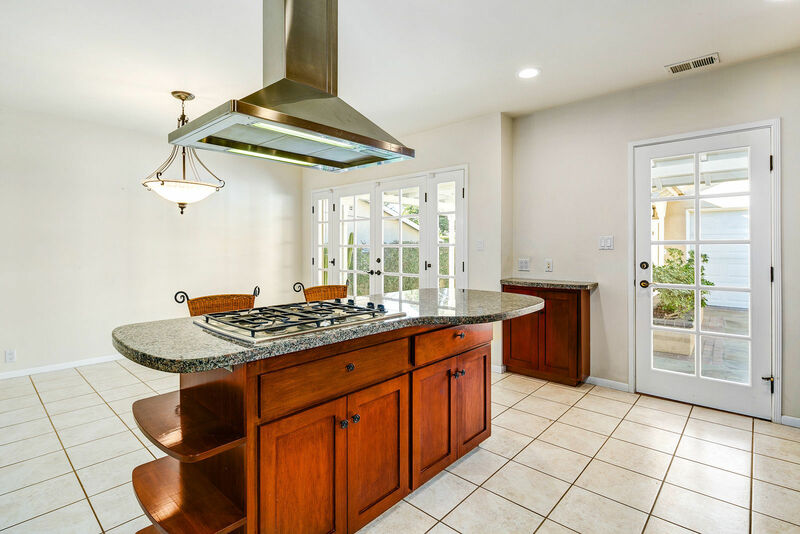 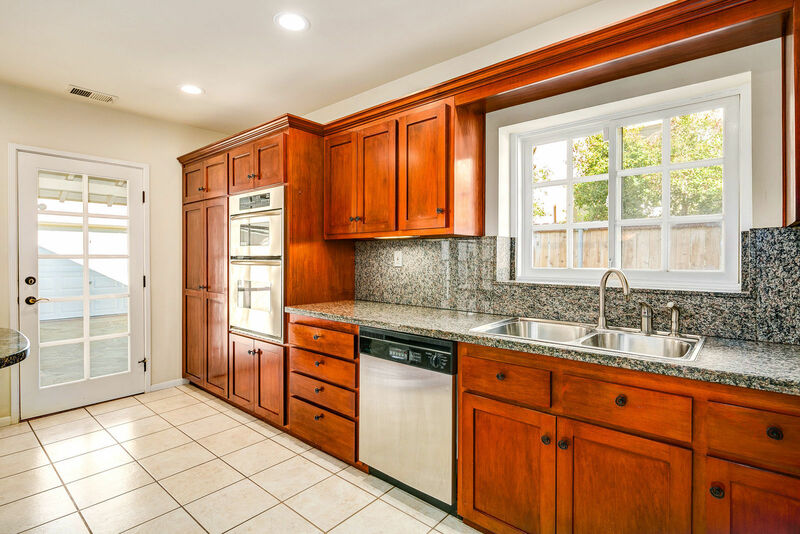 The dining room is adjacent to a very modern kitchen with cherry-stained wood cabinets, stainless appliances, granite countertops and a work island with seating. 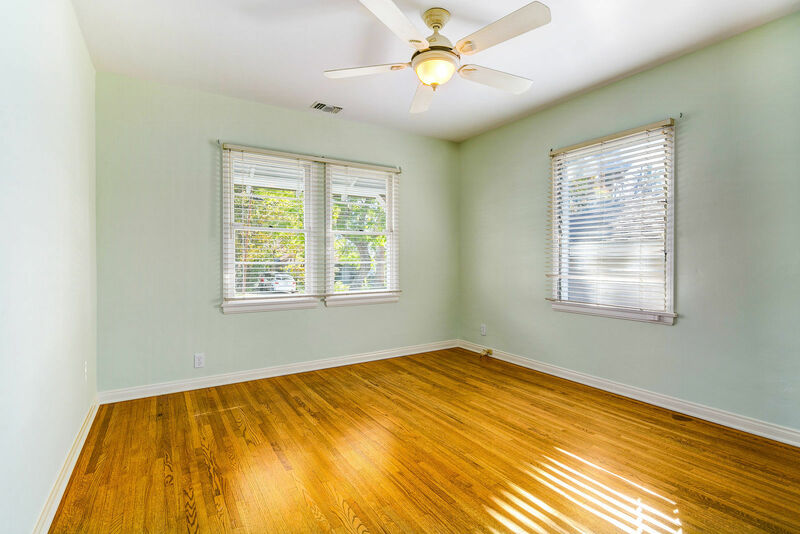 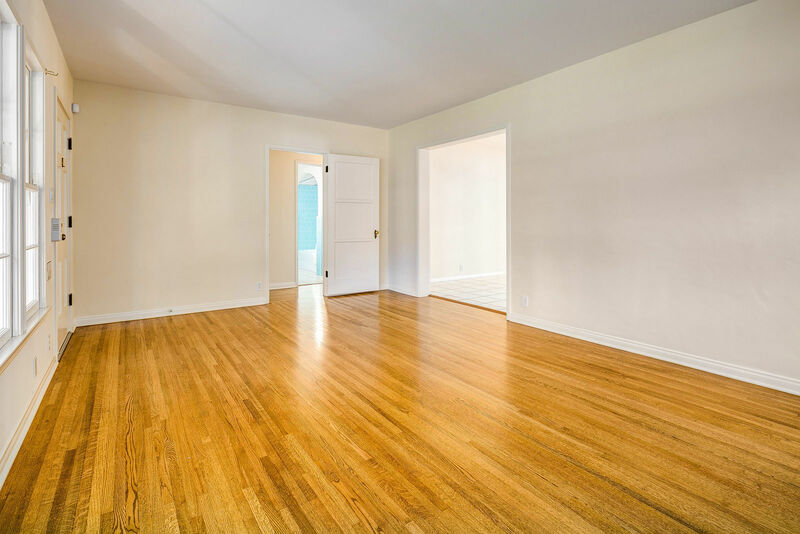 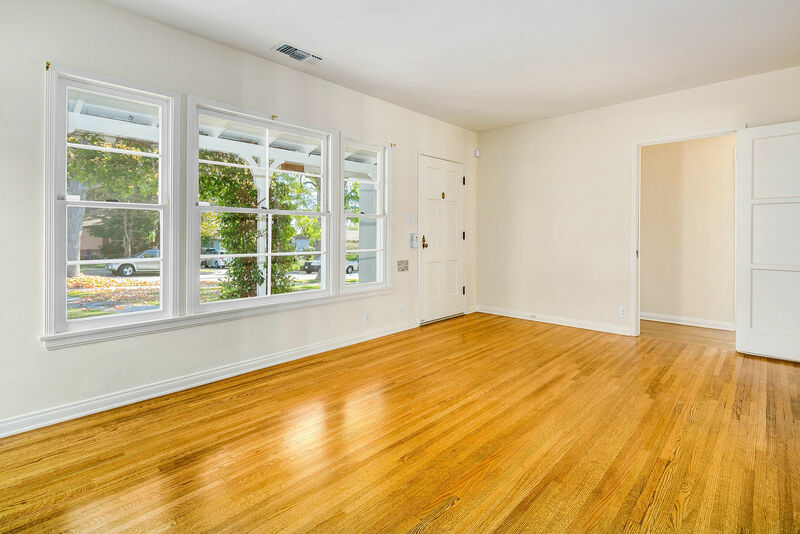 The two main house bedrooms have wood floors and are very light and bright. 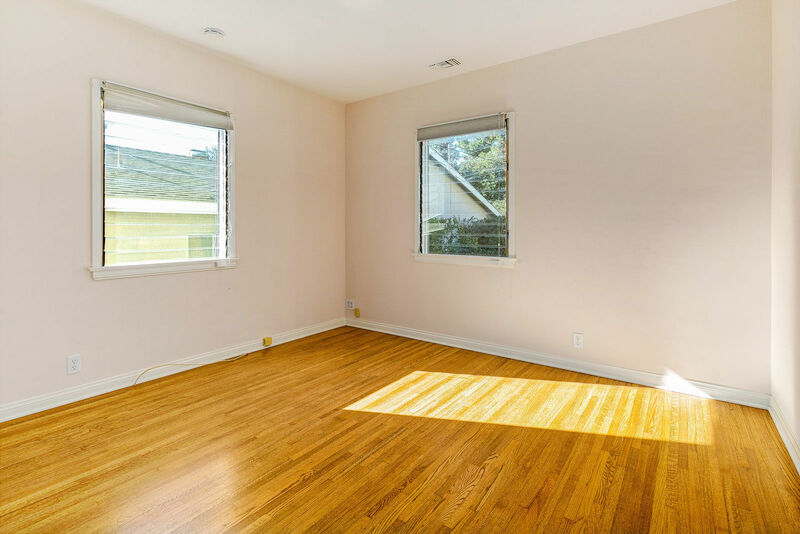 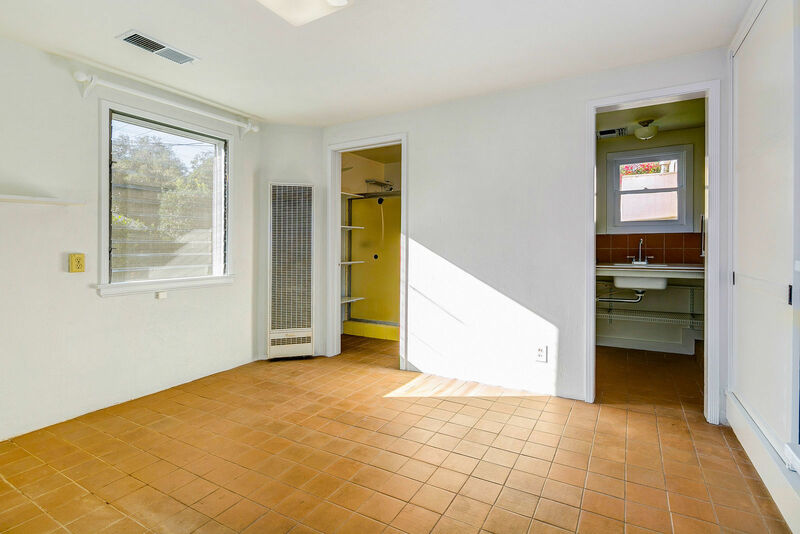 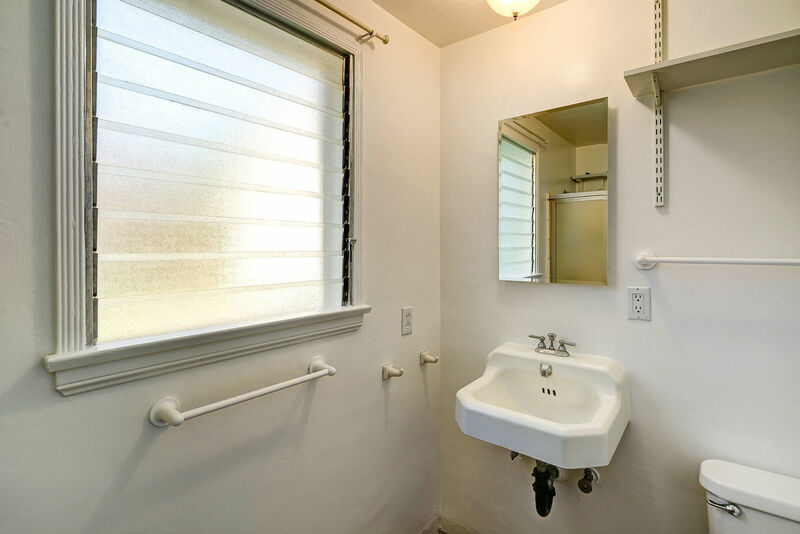 There is an additional bedroom and bath off the double detached garage. 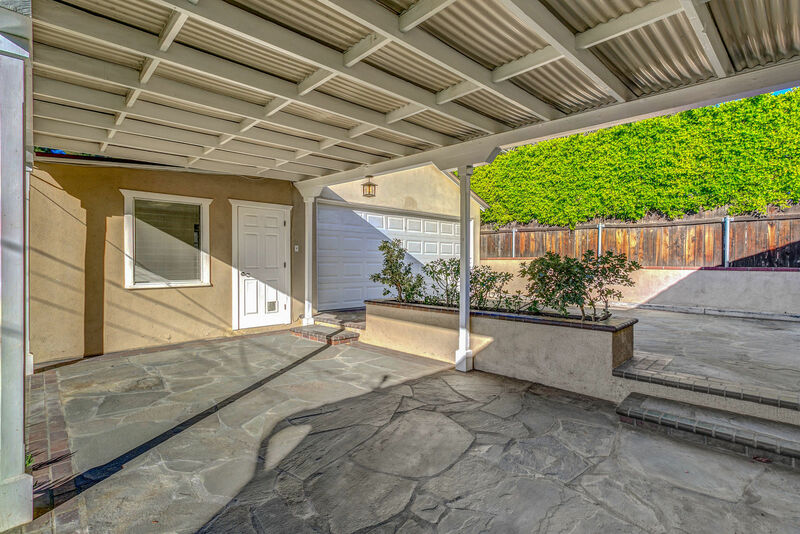 The covered patio is very conveniently located off the dining room and kitchen and is a lovely area for outdoor dining. 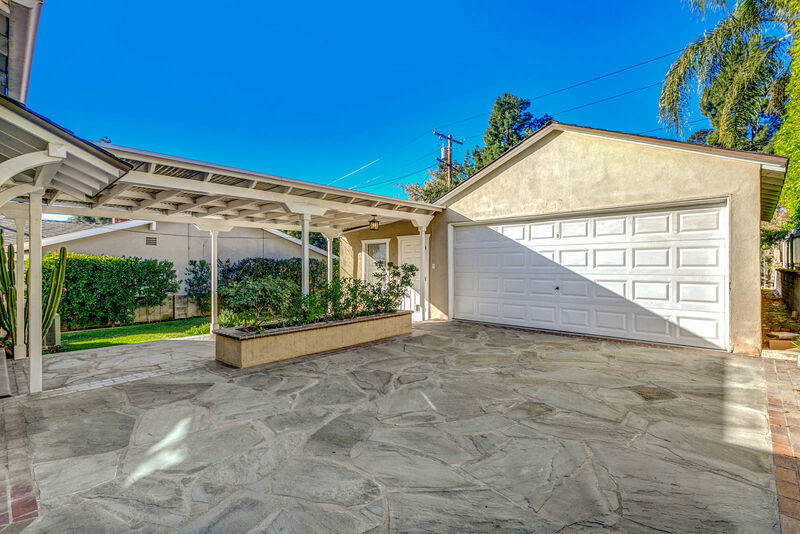 The driveway has been paved with beautiful large blue slate like stones and bricks and adds a gracious look to the exterior. 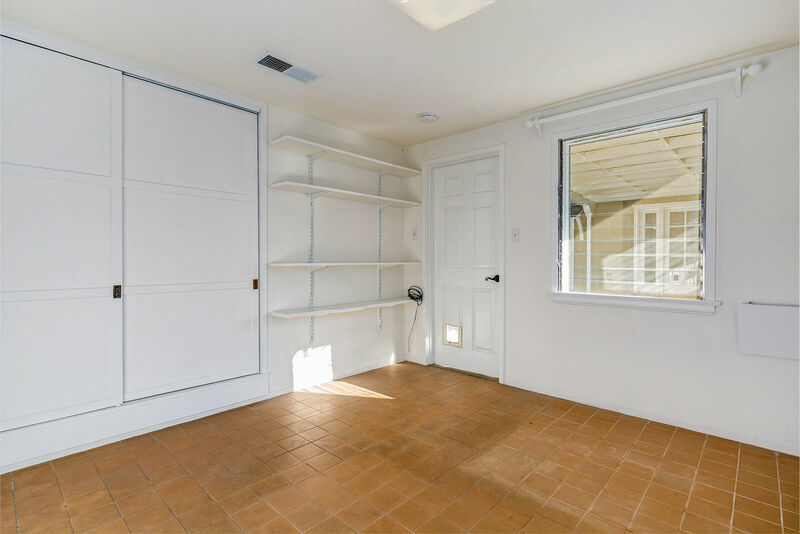 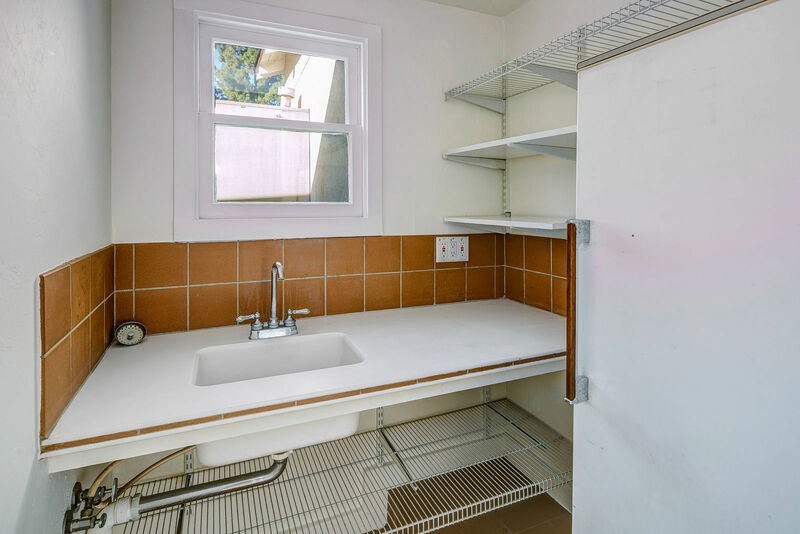 In addition, there is a laundry room in the garage. 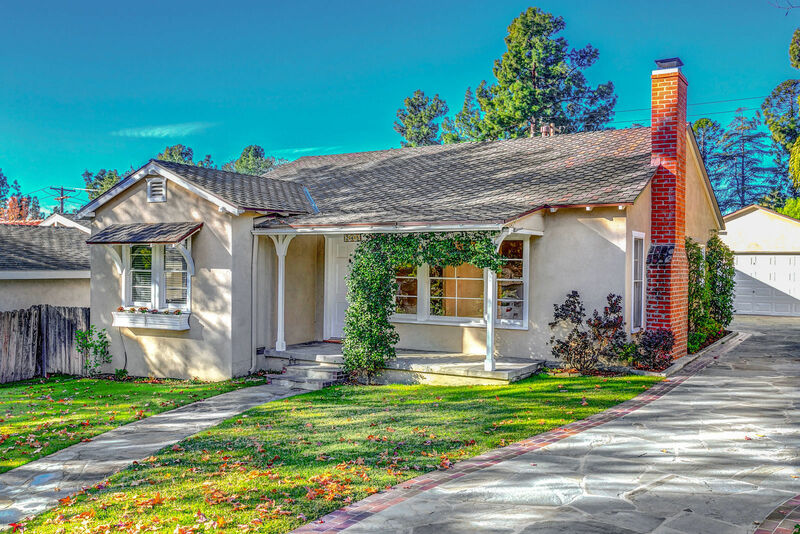 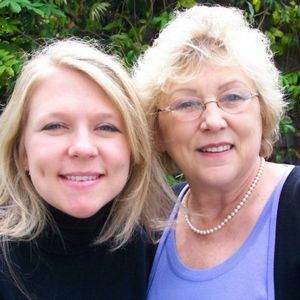 This is a true Sierra Madre Treasure.